Following the filing last week of Arizona’s brief defending SB 1070, the Supreme Court has received a barrage of briefs supporting the notorious immigration law from a none-too-surprising array of suspects. 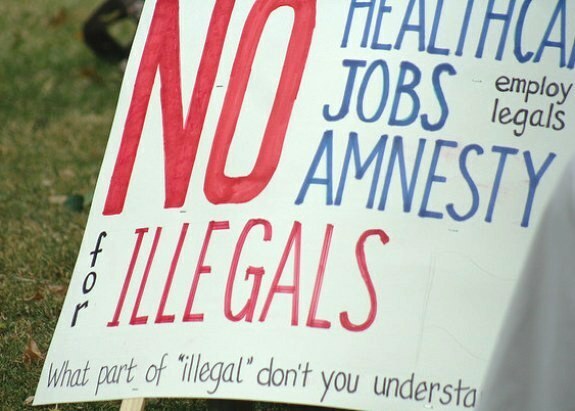 As might be expected, the arguments range from the predictable (that the Obama Administration fails to enforce the immigration laws) to the provocative (that states can carry out all immigration functions short of deportation) to the preposterous (that the Constitution allows Arizona to wage war against an “invasion” of immigrants). Of course, while neither Arizona nor their lawyers can be held responsible for the arguments of outside organizations, the briefs still offer a revealing look at the identities and motivations of SB 1070’s most ardent supporters. Like Arizona, many of the state’s supporters spill a great deal of ink on the impact of unauthorized immigration on Arizona itself. Sheriff Joe Arpaio calls Phoenix the “kidnapping capital of the United States,” for example, while the American Civil Rights Union (not to be confused with the ACLU) dubs Arizona “ground zero for the illegal immigration tidal wave.” But while these issues deserve attention from a policy perspective, they are utterly irrelevant from a legal standpoint. Why? Because the issue facing the Supreme Court is not whether Arizona alone has authority to pass SB1070, but whether any state can enact such a law. Also like Arizona, many of the state’s supporters parrot the claim that the Obama administration systematically fails to enforce federal immigration laws. Of course, this claim is as false as it is predictable, for as we noted last week, the Obama administration is on pace (if the President is re-elected) to deport as many immigrants as the last four Presidents combined. More importantly, even if the President did have a systematic non-enforcement policy, it would have no legal significance whatsoever, because the question before the Supreme Court is whether Congress has preempted states from passing laws like SB 1070, not the President. Even when discussing legally relevant issues, the state’s supporters are no more persuasive. For example, a brief filed by sixteen state Attorneys General (all but one Republican) says local police should have authority to arrest undocumented immigrants—even without federal confirmation of their immigration status—simply because they are more likely to come across them on a day-to-day basis. The State Legislators for Legal Immigration (SLLI) also contend that local police can take any action against immigrants “short of deportation.” But under this line of reasoning, local police would have the authority to arrest people for any conceivable violation of federal law, thereby creating a de facto national police force and giving Congress no incentive to hire more immigration agents. Again, one cannot assume that those representing Arizona at the Supreme Court agree with any of the arguments raised in the briefs filed in support of the state. But the briefs nonetheless demonstrate the type of constituencies to which laws like SB 1070 are meant to appeal, and the claims they will make to advance their goals. Supporters of SB 1070 like to say the law has broad popular support. But judging from the outside organizations and individuals supporting it at the Supreme Court, the law’s true advocates represent a narrow—and narrow-minded—slice of the public.